Anyways, without any further ado, I bring you the October Market Update for our area! October was a great month for NE Florida! Comparing August and September to this past month, we see the steady incline that we’ve been waiting for now that the topic is not “Which hurricane is heading our way this week?”. 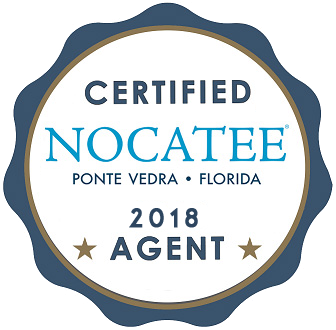 The Ponte Vedra Beach and Nocatee areas are seeing the highest number of new listings, average list price, homes sold and average price sold in 3 months. This trend doesn’t seem to be slowing down either. This is proving yet again that NOW is an amazing time to BUY or SELL! The Jacksonville Beach, Neptune Beach and Atlantic Beach areas continue to show a tremendous amount of activity, as well. It shows a steady increase in average list prices and a decrease in Days on the Market which are two great indictors of a hot market. As previously explained, this is just a snapshot of just some of the many areas of town we cover. If you would like to have a personalized neighborhood report or have any other questions then we would be happy to provide that to you! Comment below or email SallySergeant@hotmail.com with any questions or specific requests. Have a great week!